Some dude took advantage of Burger King’s slogan and ordered a burger with over 700 pickles. Consuming anything from Burger King is a potentially unsettling experience, and earlier this week the regal fast food chain yet again proved themselves capable of making something you wouldn't want to eat. What grotesque bastardization of a sandwich has the burger despot grilled up now, you ask? A Whopper with over 700 pickles on it. P.K. 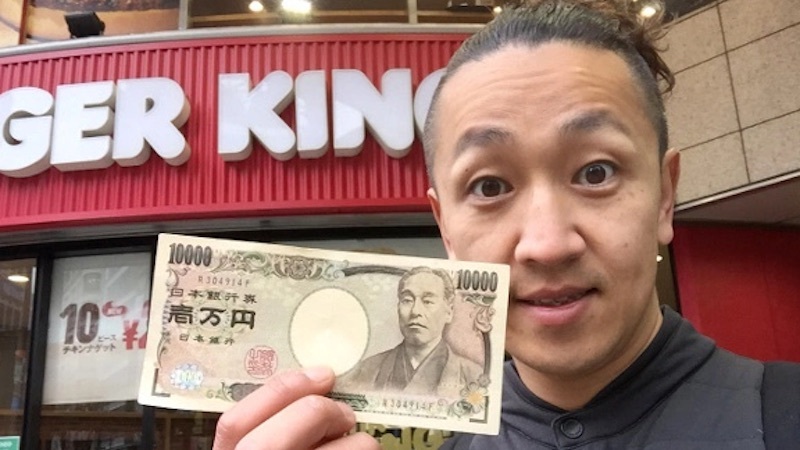 Sanjun, a writer from Japan's Rocket News, took Burger King's slogan, 'Have it your way,' to heart (quite literally, depending on how much of this he ate) and forked over 10,000 yen ($89) for a double Whopper with as many pickles as they'd give him, which turned out to be 718. This bad boy clocked in at 3.75 pounds and will supply Sanjun's office with enough pickles to last at least a day or so. The pickle castle isn't the first time Sanjun has tested the limits of Burger King's offerings, having previously ordered Whoppers with 1,050 pieces of bacon, 1,000 slices of cheese, and 100 slices of grilled onions. The man is decadence incarnate. Watch one poor guy try to eat the aforementioned bacon sandwich below.